So you’ve seen that pair of shoes, or bag, or dress and you know how it is. You HAVE to have it. After checking online (sold out or not available in your size), and trawling through the shops (“no sorry, you could try our other store”) you’re just about ready to give up hope. You’re resigned to the fact that your object of desire is determined to evade your needy ickle hands, and then….. you go abroad. I had a little sold out problem until a lovely day trip to France last weekend. My unobtainable item? 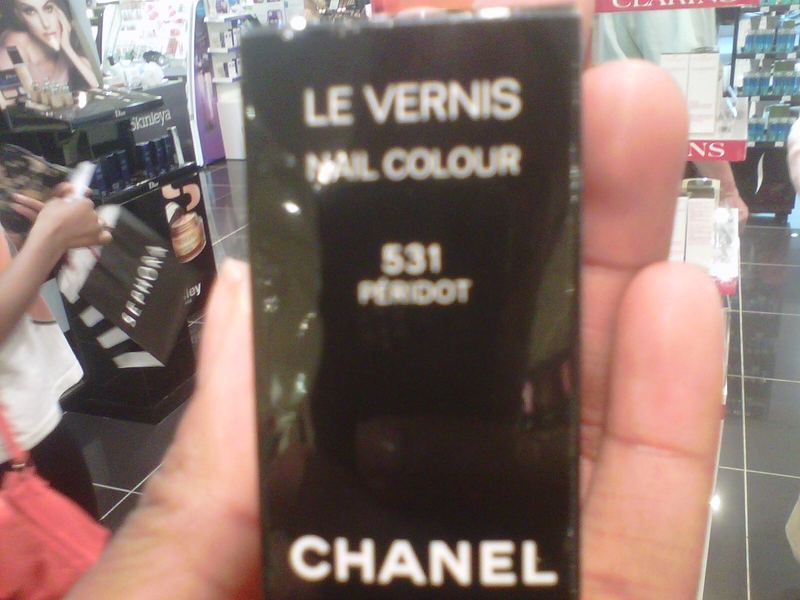 Chanel nail polish 351 Peridot. Sephora in Calais answered my prayers! No one really understood the utter glee (or the little celebration dance I did) after the lovely sales assistant produced the teeny tiny bottle of green/gold douchrome goodness. I could also tell you about my Jeffrey Campbell’s for under £100 hunt, but I’ll save that for another day.